The Service Account step of the wizard is available if you have selected to configure installation settings manually. The user name of the account must be specified in the DOMAIN\USERNAME format. The account must be a member of the Administrators group on the machine where Veeam Backup & Replication is installed. The account must have db_owner rights for the configuration database. 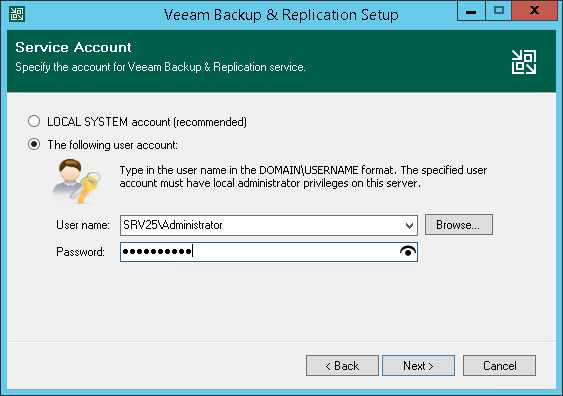 Veeam Backup & Replication automatically grants the Log on as service right to the specified user account.